#History2Research says on January 28, 1820, a Russian polar expedition, headed by Faddey Bellingshausen, discovered Antarctica. The supposition of Antarctica’s existence appeared in the 16th Century, and for years people tried to confirm it. In 1772-1775, James Cook, the English sailor, sailed across the Southern Ocean and did not find any signs of the “The Unknown Southern Land”, so the world lost interest in the South Pole for some time. At the beginning of 1819, on the recommendation of three famous sailors – Admiral Gavril Sarychev, captain-commander Ivan Kruzenstern and captain-lieutenant Otto Kotzebue, – the Russian government decided to conduct a polar expedition for “acquiring knowledge about our Earth” and “discovering new lands near the South Pole.” Krusenstern wrote in his letter to the Admiralty that Russia should not share the glory of the possible discoveries with any other country. On July 16, 1819, two Russian sloops, “Vostok” and “Mirny” under the command of Faddey Bellingshausen and Mikhail Lazarev left the port in Kronshtadt and headed for the South Pole. It was the first big Russian sea expedition, financed and organized by the government. Both Lazarev and Bellingshausen were experienced sailors and had participated in circumnavigations. In four months, the ships reached Rio de Janeiro and stopped there to replenish supplies. From Rio, “Vostok” and “Mirny” sailed towards Sydney, Australia, across the polar seas, trying to go as far south, as possible. On January 1, 1820, “Vostok” and “Mirny” made the first discovery. They found a group of volcanic islands, inhabited by penguins and other birds. The expedition named the islands “Traverse islands”, after the Russian Navy Minister – Ivan Traverse. In the middle of January, the expedition reached the Sandwich Land, discovered by Cook. Cook had finished his expedition with the discovery of it, and had been sure that going further to South would be impossible because of cold, storms and ice barriers. The Russian expedition explored the Land, and it became clear that Cook had made a mistake, and the Sandwich Land was actually a Sandwich archipelago. Lazarev and Bellingshausen plotted it on the map and changed its name to “The South Sandwich Islands”. The ships continued their way to South, tacking among the icebergs, some of which were, according to the expedition records, 100 meters high. In one of his letters, Lazarev wrote about the hardships of this period of the voyage: “we wandered, like shadows, in this barren land, under the endless snow, through ice and fog”. On January 27, 1820, “Vostok” and “Mirny” crossed the Antarctic Circle, and the day after, Lazarev and Bellingshausen saw the Antarctic coast for the first time. The ships were 20 kilometers away from it. In his records, Lazarev described the view: “The infinite ice, stretching away as far as the eye can see”, and called it “amazing”. In its voyage, the expedition approached the Antarctic coast six times, but the ships could not come close to the continent because of the ice barriers. The fourth approach assured Bellingshausen that the expedition had found the mysterious “Southern Land”, but he was not sure if there was any dry land under the ice he had seen. In the southern autumn of 1820, “Vostok” and “Mirny” arrived in Sydney. From May 1820 until September 1820, “Vostok” and “Mirny” explored the tropic areas of the Pacific Ocean, and on November 12, 1820, headed back to Antarctica. After a two-month journey, on January 20, 1821, the expedition discovered the Alexander I Land, but Bellingshausen was not sure if it was an island or a peninsula. In February 1821, the expedition headed to Rio de Janeiro, and in August, “Vostok” and “Mirny” returned to Kronshtadt. The voyage lasted 751 days, and the ships had sailed 80,240 kilometers. 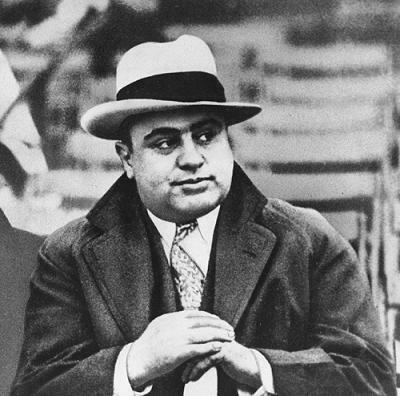 On this date in 1947, former Chicago Outfit boss Al Capone, who had been in declining health since his release from federal prison, died on his estate on Palm Island, FL.